Dotted along the Vallée de la Tarentaise are some of the most renowned resorts in the world (Les Trois Vallées with Courchevel, Méribel, Val Thorens; Paradiski with La Plagne and Les Arcs; and Espace Killy with Tignes and Val-d'Isère), and to an extent all of them can be reached by train, albeit with a taxi or bus transfer for the last leg - with the exception of les Arcs, which you can get to just using the railway. Although you wouldn't go to Les Arcs for traditional Alpine charm, the slopes are pretty good and the resorts not as bad as they are sometimes portrayed. Resorts, for in fact Les Arcs is really five resorts in one, with Bourg at the foot of the area then Arc 1600, 1800, 1950 and 2000 above. In 2003 a cable car linked Les Arcs with La Plagne, and the result was to create one of the largest and most impressive ski areas in the world. There is pretty much something for every level of skier and snowboarder here, so make sure you put it on your list of winter sports resorts to get to before you die. A funicular railway links Arc 1600 to Bourg St Maurice, which is a terminus both for the snow trains and for regular services from Chambery. The funicular lies a few hundred metres beyond the main railway station, next to the shunting yards. The nearest airport to Les Arcs is Chambéry. Try the acclaimed Belliou La Fumee for lunch, below Arc 1950 and opposite the base of the Pré St Esprit chairlift (+33 479 072913). Harder to get to, but well worth the effort, is the fabulous LAncolie near La Plagne (+33 479 079320). Loft Mountain Hostel, Bourg St-Maurice (Hostel) Hostel five minutes from station, funicular and town centre. 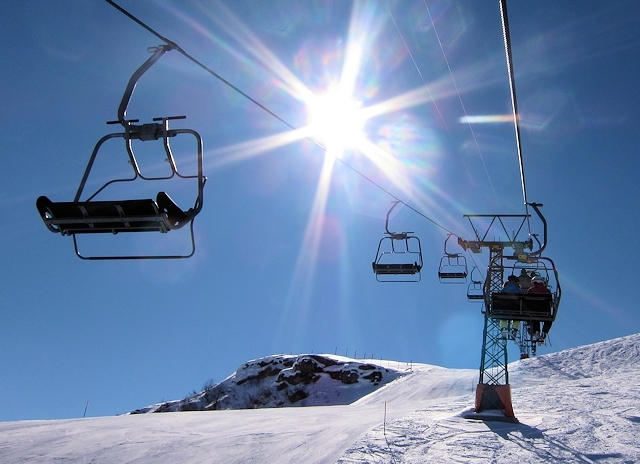 Did you ski Les Arcs or snowboard in Les Arcs? What did you think? Have you taken the train to Les Arcs? 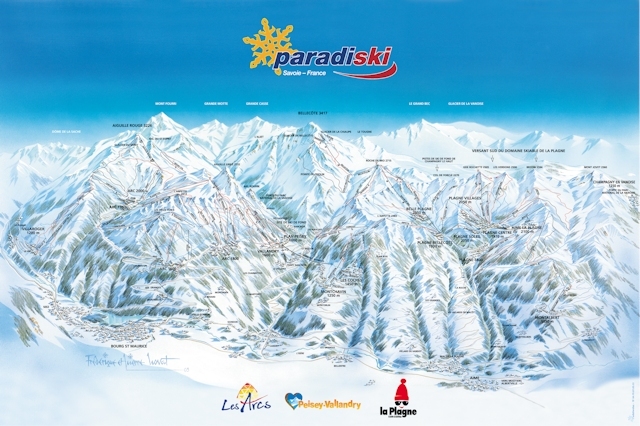 Do you have any tips on accommodation in Les Arcs or the apres ski? Is there anywhere else you have taken the train to ski? if so, please contact us and share you experiences using the contact link at the foot of the page.